By the time I had opened Snakeoil’s You’ve Been Watching Me, I had seen the band twice, including one show that ran through all the major tracks on this, their third CD. So I wasn’t expecting any surprises — but I’d forgotten that this session adds guitarist Ryan Ferreira. He blends in well. He’s often featured playing the unison lead, adding a new color to the themes. And sometimes he adds David Torn-like effects, as in the distant rumble he builds during the ominous ending to “Embraceable Me,” with its one-note piano chime holding the tension for the mad group solo to follow. Tim Berne is an artist who churns through bands and compositions rapidly, always anxious to move on to the next thing. It’s nice, then, when something sticks. As with the Bloodcount quartet, it’s been good to see Snakeoil get time to settle, to find its own equilibrium. “Comfortable” probably isn’t a word Berne wants to hear, but yes, I’ve grown comfortable with this band. It doesn’t feel stale, and the addition of Ferreira adds a fresh challenge without disbalancing the band’s chemical equation. But for me as a listener, what’s nice about “comfortable” is that this third Snakeoil album is heightening my awareness of what I like about this band. Oscar Noriega‘s clarinet brings a chamber-music delicacy to those long, quiet stretches. He’s especially good during a long, spare stretch of “Small World in a Small Town,” playing opposite Matt Mitchell‘s piano and Ches Smith on vibes and drums. Mitchell’s piano can play the role of a hard, punishing bassline, but his higher calling here is to add another dimension of tangle and complexity to Berne’s tangly, complex composing. Compositions such as “Small World in a Small Town,” “Embraceable Me,” and “Semi-Self Detatched” (excerpted below) feature cross-current melodies played by separate factions of the band — something Berne did with Bloodcount, too, but it feels like he has more options and more density with this band. We enjoyed Ches Smith’s music here in the Bay Area for years, so it’s not surprising that he has an intuitive grasp for what this band needs. His drums are a catalyst for building the tension leading to those big, dramatic composed segments, while the vibraphones and timpani let him add to those quieter stretches. And then there’s Ferreira’s guitar, filling a role similar to Marc Ducret‘s part-time role with Bloodcount: sometimes doubling up the melodies, sometimes adding rugged, scratchy effects to the mix. Over the quick, heavyhanded patter of “False Impressions,”he cuts a nice solo, choosing a skinny, echoey sound, from the Robert Fripp end of the spectrum. And he gets center-stage on the brief title track, a solo-guitar composition reminiscent of the Ducret pieces on Berne’s album, The Sevens. Above: Snakeoil, minus Ferreira, performing “Embraceable Me” at The Stone. This trio set from Finland presents an unhurried mix of trombone, bass, and drums by three players who share the middle name of Olavi. It’s an improv session with a casual feel. Even the track called “Hurry Up,” with its busy percussive clacking and nervous bass bowing, doesn’t overpower. It’s certainly fast and gets the blood flowing, but it preserves a sense of space. But that’s not all that I mean by “space.” Even when drummer Niilo Olavi Louhivuori is filling space with all manner of percussion, bandmates Teppo Olavi Hauta-aho (bass) and Jari Olavi Hongisto (trombone) keep a calm demeanor. “Kalle Killi,” for instance, is playful in a calm, loping way, with a rubbery bass rhythm fronted by improvising at a pace that doesn’t break the spell, even as Hongisto’s melody intensifies and Louhivuori’s percussion gets more active. The band doesn’t shy away from occasional tonality, and that gives distinct personalities to a few tracks. “Chaplin” hides shades of vaudeville sadness in the trombone melody. “Forest Walk” is an apt title for a casual stroll of a piece — another slice of egalitarian improvising, sustaining a balance that keeps the group moving forward — and even winds down with a traditional ending and resolution. Another track I liked was “Evening Song,” a showcase for Hauta-aho’s bass. It’s built around an improvised trombone melody by Hongisto, but the fill-ins from Hauta-aho add up to a robust bass solo, full of rubbery plucked notes. TUM is a Finnish label that’s been releasing works by American artists such as Billy Bang, Barry Altschul, and Wadada Leo Smith — so it’s about time I listened to some players from TUM’s native land. It’s yet another example of a European label taking up the task of documenting the American art form (Clean Feed, NoBusiness, Not Two, and countless others are in this group as well). “Dancing” is a good way to describe Cecil Taylor’s playing. Critics like to focus on the noisy and theatrical aspects — the forearms and fists on the keys — but the random splashes are rare compared to his long stretches of springy, kinetic keyboard work. It’s not pure randomness. His fingers hit the keys with accuracy and purpose, and it adds up to a sound. You know it’s Cecil. “Dancing” comes up in this 2012 interview of Taylor by Ben Ratliff of The New York Times. I think I read it three years ago; the top certainly sounds familiar. If so, it’s a nice rediscovery right now, as I plunge through the hurricane of Taylor’s 82-minute Akisakila, a trio date with Jimmy Lyons on sax and Andrew Cyrille on drums. It’s relentless and, in the original meaning of the word, awesome. I located Ratliff’s interview because it’s linked from Nate Chinden’s review of the recent Cecil Taylor-themed benefit for the Harlem Stage. Taylor himself couldn’t make it to the show, which must have been a disappointment, especially with tickets going for benefit-sized prices. Even so, listening to pianists Geri Allen and Jason Moran makes for an evening well spent. Even better, Henry Grimes and Henry Threadgill were performing as well. Hat tip to Richard Scheinin on Twitter for linking to Akisakila and kicking off this whole train of thought. Vocalist Viv Corringham is in the Bay Area this week, joining up with a local band to perform a combination of improvisation, electronics, and Greek rembetika singing. Rembetika, also spelled rebetika and technically the plural of rebetiko, is an early 20th-century Greek music with genes from the Baltic region and Eastern Europe. But it’s not music born of joy; like the blues, it’s the music of a downtrodden people (outcasts from Asia Minor) and the struggles they faced. The line comes from a 2011 album, Rembetronika, that pairs Corringham’s singing with the side guitar of Mike Cooper, backed by electronics and joined in spots by legendary British improv players. Corringham’s Bay Area consort will be an experience beyond that album. The band is all woodwinds — shakuhachi, recorder, and didgeridoo — plus electronics and piano. It’s also going to be a multimedia event, with on-the-spot “film and light abstractions” by Anna Geyer. Joe Lasqo (playing laptop and keyboards in the band) has blogged a more detailed explanation of the band, the music, and Ms. Corringham. As for that “clearer through smoke” line — it comes from one of the few Rembetronika tracks sung in English, “White Powder.” And it’s a tough story: a plea for drugs so that the singer can find some escape from this hellish world. “Like is clearer seen through smoke,” Corringham sings, summarizing what seems to be the prevailing attitude in rembetika. It’s not much different from blues songs about alcohol. It seems there’s something universal about misery and the human condition. Against those lines, a gentle ramble of off-rhythm guitar drifts like a cloak of madness settling on the singer. Those kinds of unsettling moments are a highlight of Rembetronika. As another example, “Bournovalia” drenches Corringham’s voice in old-timey reverb, backed with a ghostly procession of electronic smudges and untuned chimes for an unsettling effect. The acoustic sounds of guitar and voice remain at the forefront, though. Pairing a high-toned lilt (think the golden age of radio) with Cooper’s cowboy-style slide guitar — which isn’t the same as the traditional bouzouki but flavors the sound richly. Those natural sounds take the foreground on the mournful “San Ton Exoristo,” backed by the crackle of faux vinyl and comet-tail slashes of background sound. “Smyrneiko Minore” adds Chris Abrahams’ tumbling, bluesy piano, some slashing guitar, and Corringham’s bright, clear voice singing a wavering, haunting melody. It’s very much the blues. To historians of ’60s/’70s free jazz, Los Angeles plays second fiddle to New York. More like sixth or seventh fiddle, actually. Fortunately, there’s been an effort in recent years to preserve L.A. jazz history — in the work of the Nimbus West label, in Horace Tapscott’s reissues on Hatology, in the John Carter/Bobby Bradford 3-CD set issued by Mosaic in 2010. Now, filmmakers hope to complete a documentary that would tie the past and present of Leimert Park, a south L.A. neighborhood and art enclave that was a home to Tapscott and to Jesse Sharps. The Gathering: Roots and Branches of Los Angeles Jazz is a behind-the-scenes documentary of a 2005 concert, led by Sharps, that matched young musicians with veterans of Tapscott’s Pan-Afrikan People’s Arkestra. A CD of the concert emerged in 2008, but the movie is still awating completion. Sharps and filmmaker Tom Paige have turned to Kickstarter to raise $18,500 for post-production, including composers’ licensing fees. For me, there’s a personal angle: My parents grew up in central L.A., and Leimert Park, which is the setting for the film, is just south of their neighborhood. The Crenshaw district used to be an upscale area; sadly, it’s better known today for the 1992 Rodney King riots. I never realized there was a cultural hub nearby, with places like the World Stage, an education and performance space founded by drummer Billy Higgins and poet Kamau Daáood in 1989. Kamau Daáood (poetry), the aforementioned World Stage founder. The Gathering’s Kickstarter campaign will end on the morning of Dec. 15, twenty-five days from now. It’s off to an admittedly modest start, but I hope it gains steam. It would be a shame if this project, like so much of California’s jazz history, goes unnoticed. Photo by Andy Newcombe, CC2.0 license. Click for the original. I’m nowhere near New York for tonight’s Cecil Taylor tribute, but seeing notices about it brings back warm memories of the Cecil tribute I did attend, in 2012. Cecil Taylor: From the Five Spot to the World (Tuesday). At 86, the pianist Cecil Taylor is a matchless eminence in the jazz avant-garde, and a figure of increasingly rare public exposure. This gala concert, a benefit for Harlem Stage, will feature the pianists Jason Moran and Geri Allen, two of his many grateful heirs, with generous interpolations of poetry and dance. It also promises some form of performance by Mr. Taylor, whose most recent appearance in this setting, in 2012, was an illuminating triumph. At 7:30 p.m., Harlem Stage Gatehouse, 150 Convent Avenue, at 135th Street, 212-281-9240, harlemstage.org. That’s written by Nate Chinen, who, as I saw myself, did attend that “illuminating triumph” of a show. He produced a review more eloquent than mine, as well. Michael Malis is on tour in the midwest through Nov. 15: Champaign, Bloomington, Chicago, South Bend, and Kalamazoo. Check his web site for dates and venues, or look below. 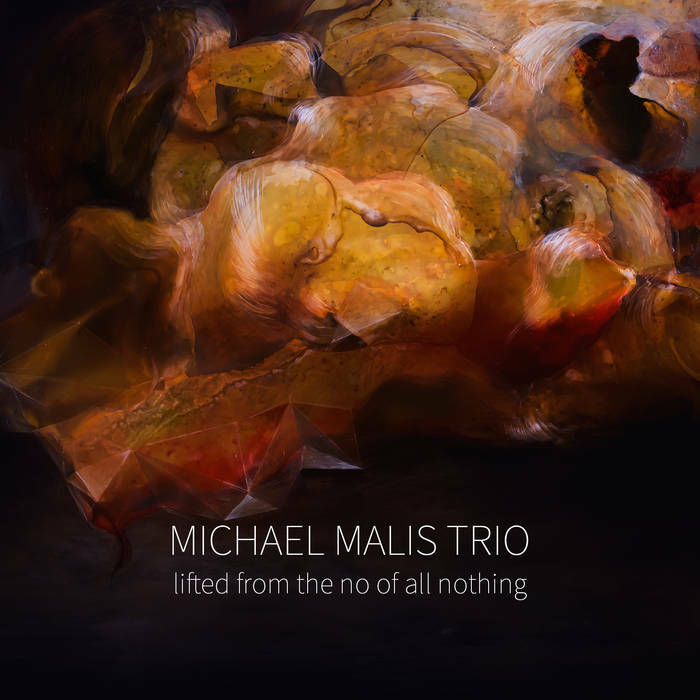 From Detroit comes Michael Malis, bending the idea of the traditional piano trio. His music starts on the crystalline end of classically influenced jazz piano, but he’s willing to veer into adventurous territory. He’ll hammer on the lower registers for a stormy mood, or parse the music into minimalist-influenced diffraction patterns. Lifted from the No of All Nothing is the trio’s debut album. They’ve been working together in various combinations and have served as the rhythm section for Detroit saxophonist Marcus Elliot, and the album is a chance for pianist Malis to show his chops as a bandleader, handling the role with creativity and confidence. The most ear-grabbing piece is “Parentheses.” It digs and grooves, distilling its mathematics into an irresistible swing. The bass and drums take early solos that you’re almost not aware are happening — Ben Roston plays feather-light bowings on bass against the clockwork of the groove, and later, drummer Stephen Boegenhold snaps and pops against the irregularly matched patterns played out by Roston and Malis. The whole thing ends with a spritely piano solo over Malis’ jamming left hand. “Power Numbers,” after an ornate classical opening, plows into a wonderful run-on of a theme, a ribbon of melody that Malis just keeps unreeling and unreeling. And it’s got that jazz crispness as well — Boegehold’s light-tap cymbals and busy snare holding the form (but not the strict beats) of the rhythm, and Roston working in pulses to deepen the sound. Smaller pieces exhibit more of the band’s experimental side. “Converge” is a heavy stomping of piano bass notes, while “Old and New” gives us 99 seconds of strident freaking-out. “The Moment” is a sprinkling of prepared piano that blossoms into a stormy mood, encouraged by grand arco bass and, eventually, sweeping drums. The nine-minute “Sympathet” ends the album with an avant-garde excursion that eventually returns to a crisp piano-trio sound led by a composition of impressive skipping-stone counterpoint. … And you can listen to all of Lifted from the No of All Nothing on Bandcamp.